Updated Tuesday October 2, 2018 by Brandon Waylett. 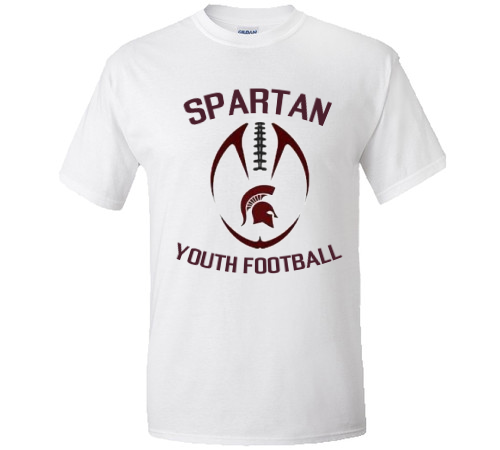 All apparel will have the Spartan Youth Football Logo embroidered on it (see the cover form). Shirts and Sweatshirts also have the option of a last name to be embroidered on the left sleeve. If choosing to have a name on your apparel please PRINT the name clearly on the order form. Also please indicate ADULT or YOUTH size clearly on the order form.